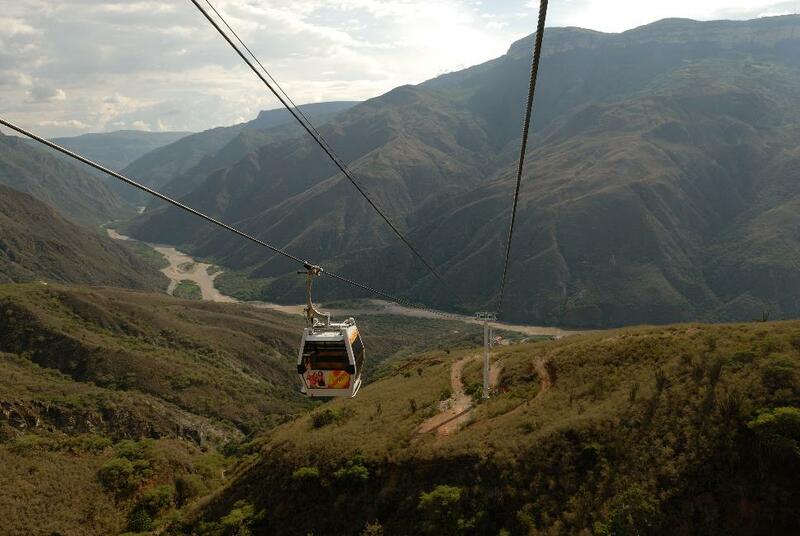 Colombia is a breath-taking country, which is just being discovered by tourism and its travellers. 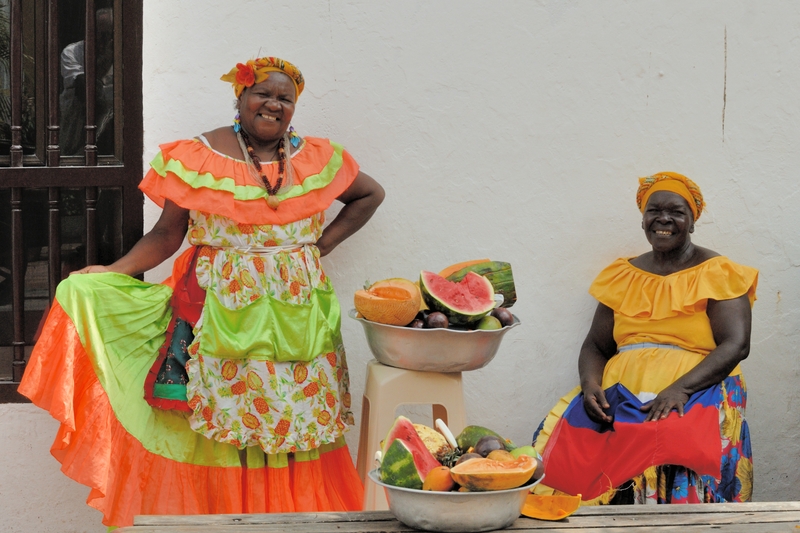 During this journey, you will experience the beauty of Colombian nature and culture. 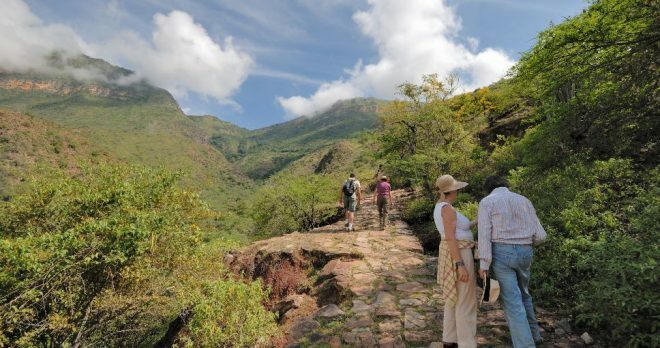 The itinerary takes you through different climates and landscapes ranging from the green highlands to the warm Caribbean coast. And everything is complemented by authentic encounters with hospitable Co-lombians. Beside the travel programme you will always have the opportunity to take a break from everyday life. 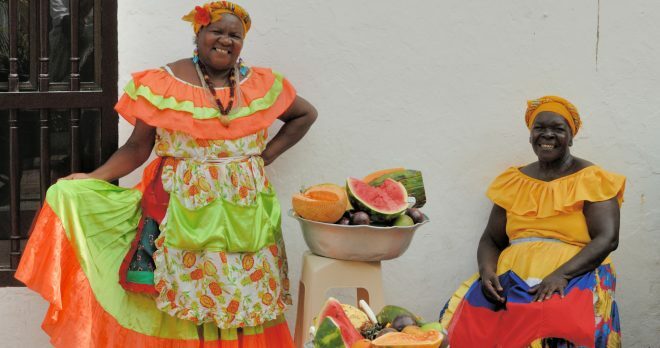 Visit the traditional Paloquemao market, a huge market hall with more than 1800 stands with fresh fruits and vegetables, meat, herbs, flowers and handcrafts. Enjoy the colourful outdoor flower market and gaze at the numerous exotic fruits. 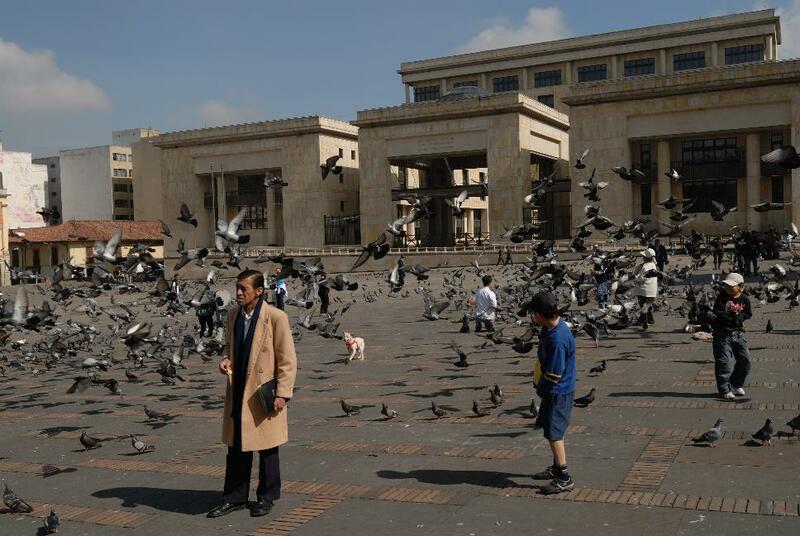 During the walking tour of Bogotá, you will enjoy the contrast of the modern and his-torical part of the city. 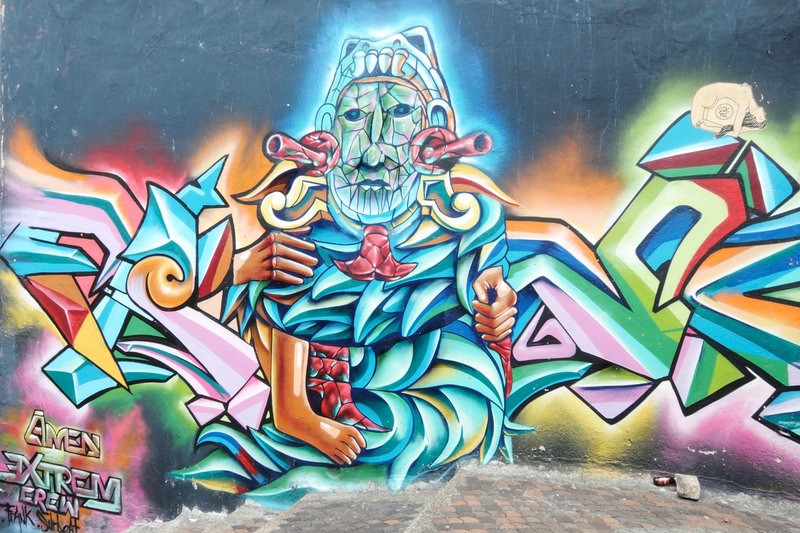 You will see the most important buildings from the colonial era in La Candelaria, the old town of Bogotá, as well as the government district around Plaza Bolívar with its Cathedral, Palace of Justice, Parliament and Town Hall. 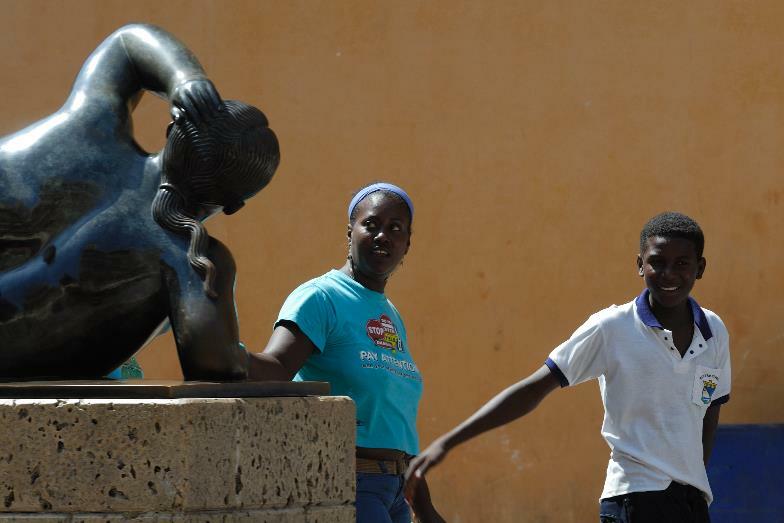 Visit Bogotá’s famous museum of the artist Fernando Botero, with its outstanding collection of contemporaneous art. Experience how the unique emeralds were traded. 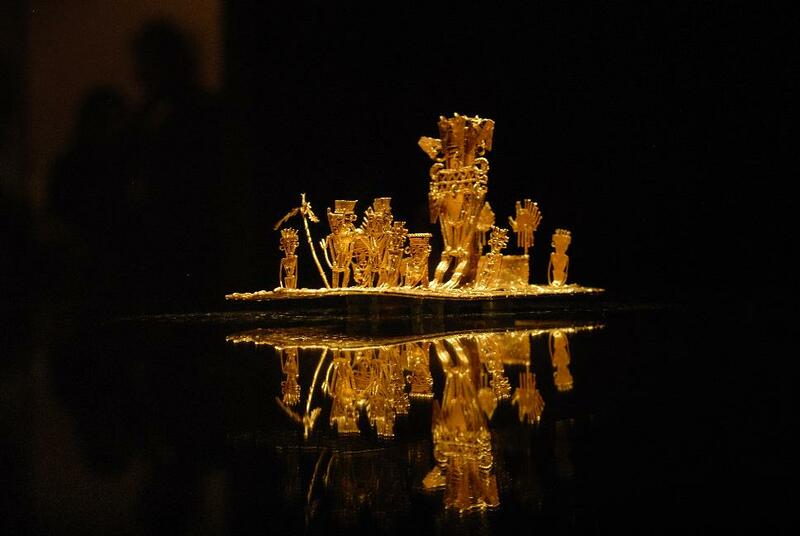 The Gold Mu-seum is a highlight, with its unique collection of preColumbian gold jewelry. If the weather is nice you will drive to Monserrate where you have a spectacular view of the big city. You drive from Bogotá to Zipaquirá, which depending on the traffic can be reached af-ter about 1.5 hours. 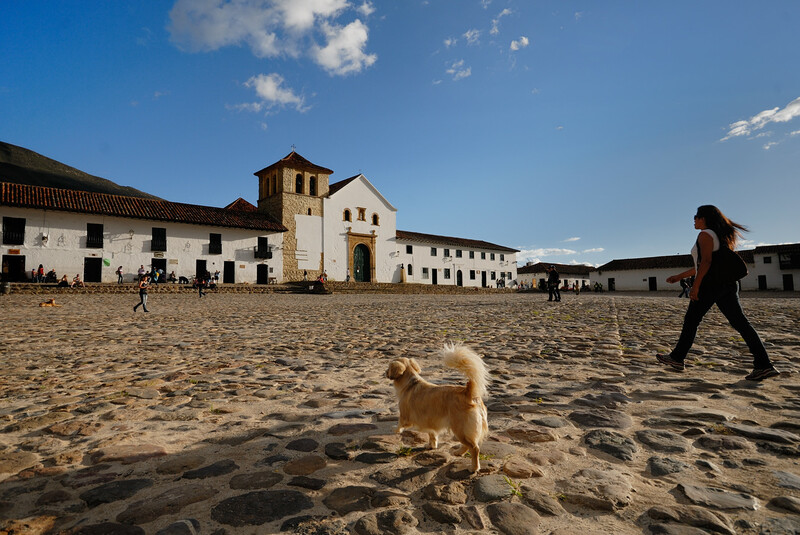 The nice colonial old town of Zipaquirá gathers numerous buildings of the 18th century. Marvel at the imposing underground salt cathedral, a complete church inside a salt mine and learn more about the religious significance of the place and the importance of the salt for the region and its history. The cathedral is an unique architectural work. Afterwards your journey continues to Guasca, a small village in the highlands of Bogotá, where you will stay in a hacienda. There you do a short hike through the green landscape surrounding the hacienda. You drive to the lake of Guatavita, where the ritual of El Dorado (the gilded) took place. After a 30 minutes’ walk through a forest and typical highland vegetation you will reach the crater border at 3000m above sea level. Enjoy the nice view on the Crater Lake, where once coronation ceremonies of the monarchs of the Muiscas took place. 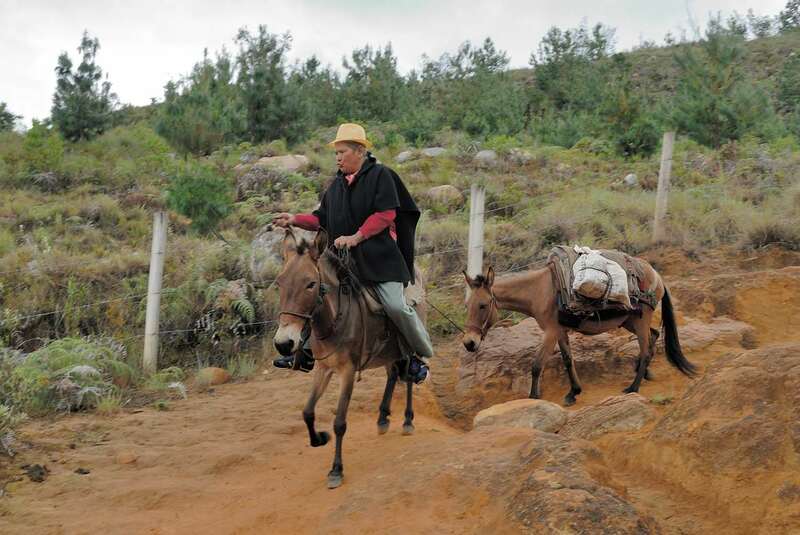 If you are interested in history, on the way to Villa de Leyva, quickly stop at the Puente de Boyacá, which is the place where in 1819 Simón Bolívar won the last and decisive battle against the Spanish colonial rulers. 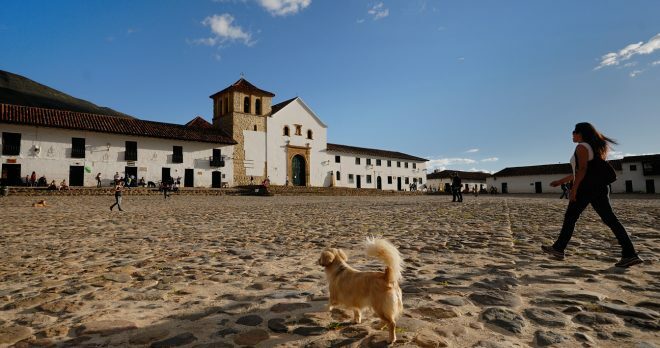 From there it’s only a short ride to Villa de Leyva, a village which in colonial times used to be a “summer residence” of the bishops from the cooler Tunja and gathers spacious and beautifully preserved churches. Walk through the cobbled streets and end the day at the Plaza Mayor. If you like walking, you can start with an easy two-hour hike through the hills of Villa de Leyva, from where you can enjoy a beautiful view over Villa de Leyva and surround-ings. 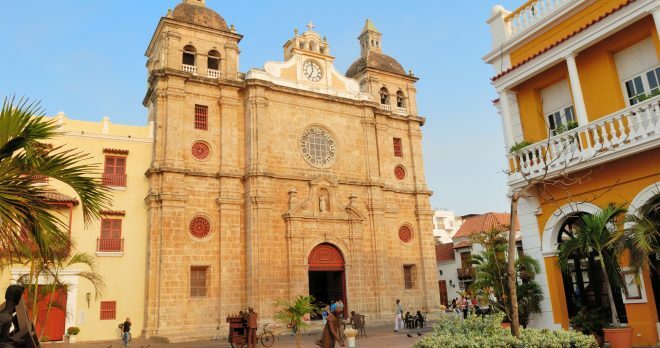 Visit the monastery of La Candelaria, an Augustine convent of the 17th century and admire how the abundant fossils have been integrated into the architecture of the buildings of the area. A special highlight is the garden of the monastery. Afterwards you can make a short stop in Ráquira, a small town that lives traditionally by the pot-tery. 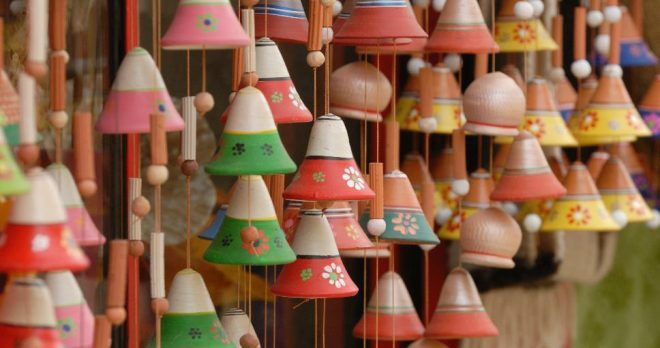 Visit the numerous souvenir shops, with all kinds of crafts from all over Colombia and take the chance to buy a souvenir of the region. 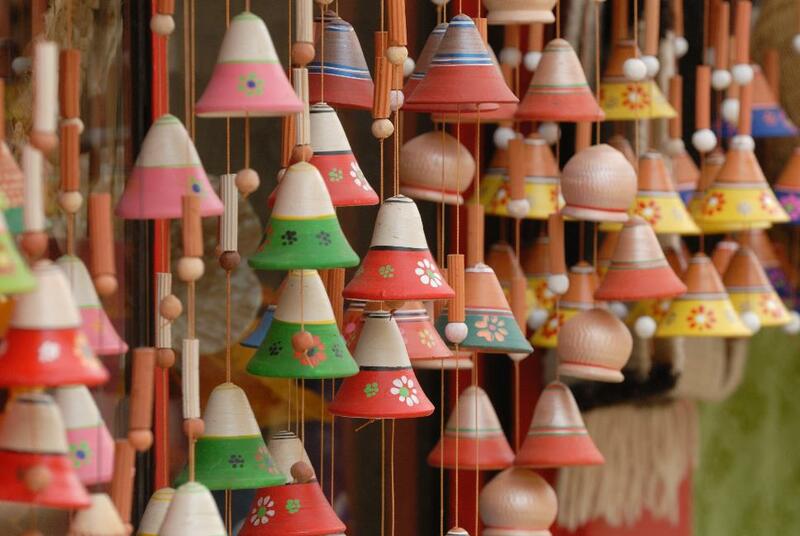 If you fancy you can learn more about the ceramic items and the handcrafted pottery. 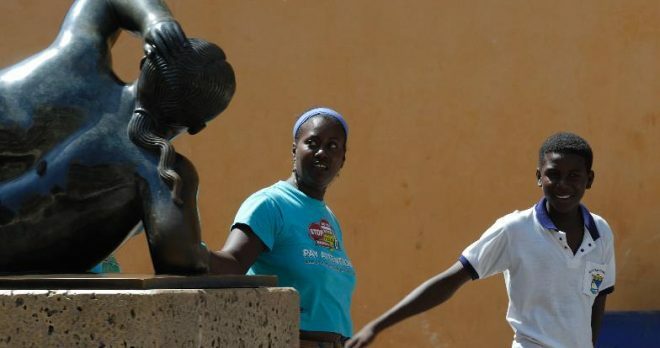 On the way back to Villa de Leyva, you have the opportunity to visit a fossil museum in which, among other things an 8-meter-long ichthyosaur found in the region is exposed. The journey slowly leads from the highlands to warmer climes. The road from Villa de Leyva first passes through lush green pastures. From Arcabuco the road winds through a narrow gorge, which opens in the direction of the Río Suárez. 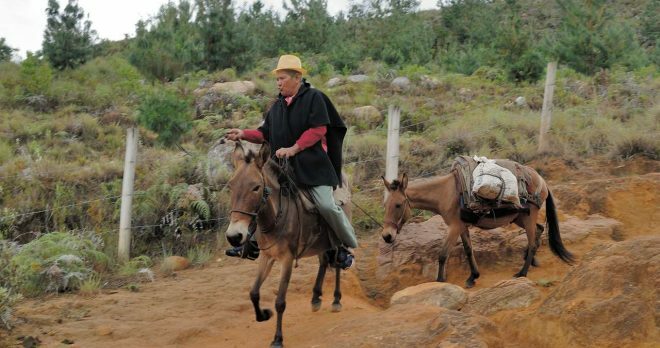 On the slopes of Suárez Valley, at an altitude between 1’000 and 1’500 meters above sea level, the way leads from Barbosa to San Gil. Along the way there are numerous opportunities to stop at, for example to look at a traditional sugar mill or to taste the typical Guava mousse. Don’t miss to taste the Cuajada con Melao, a cheese cream with sugar molasses. The Caseteja at Oiba is known for this specialty. From San Gil it’s a half hour drive to Bar-ichara. This perfectly preserved village was declared as the most beautiful village of Co-lombia. 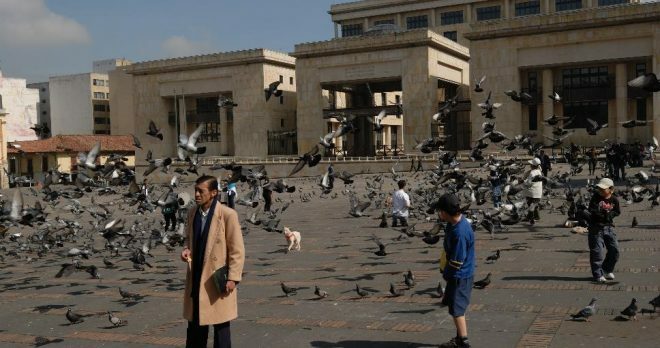 The town, located at an altitude of 1’300 m above sea level offers a pleasant temperature of about 26°C. 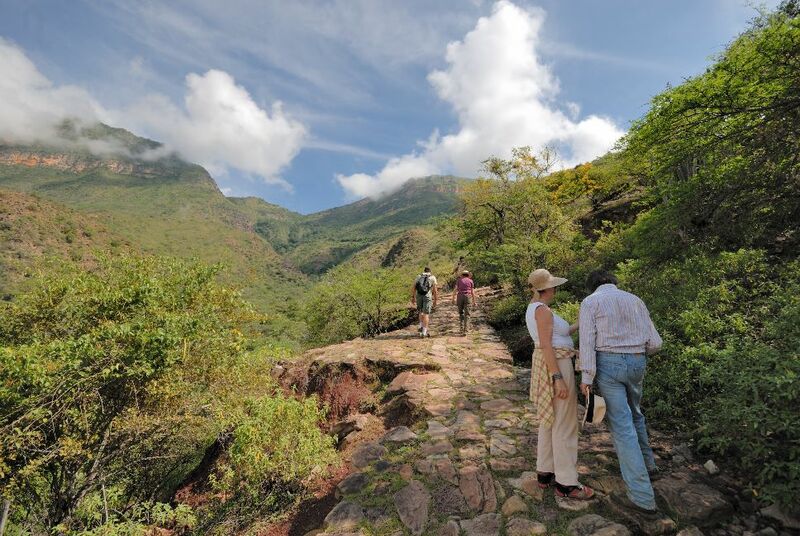 Hike from Barichara to Guane. Along the way, you’ll pass tobacco fields and cattle pas-tures and can enjoy the view over the Valley of the Río Suárez and the mighty Cordillera de Cobardes. 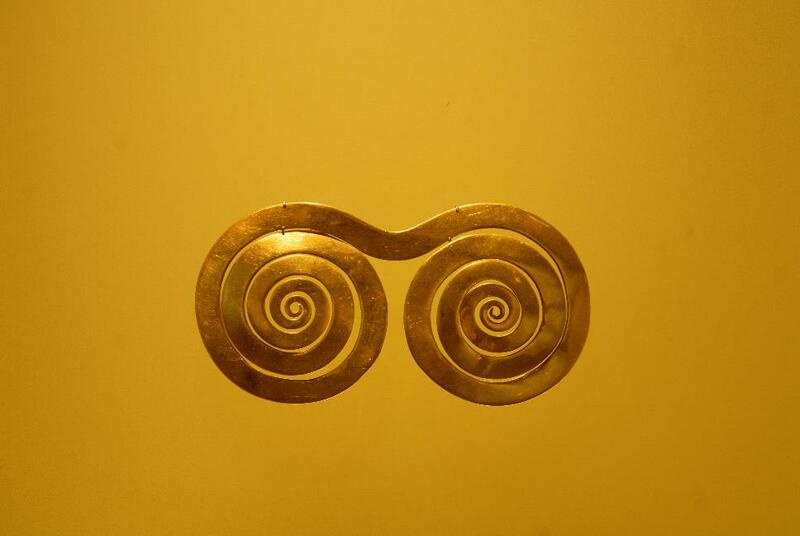 Don’t miss the little museum of fossils and relics of the indigenous Guane tribe in Guane. Drive back to Barichara by car. 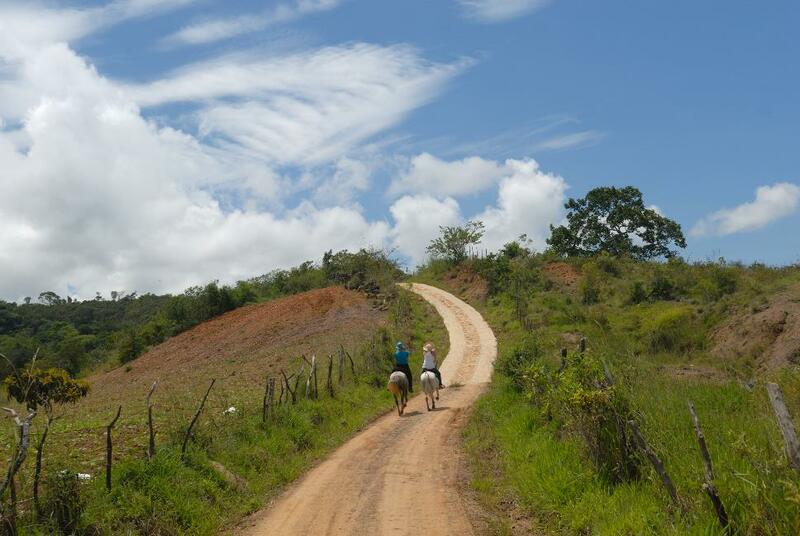 During this walk, you discover Barichara with its whitewashed houses and cobbled streets. In many small galleries and craft workshops there’s always something interest-ing to discover. 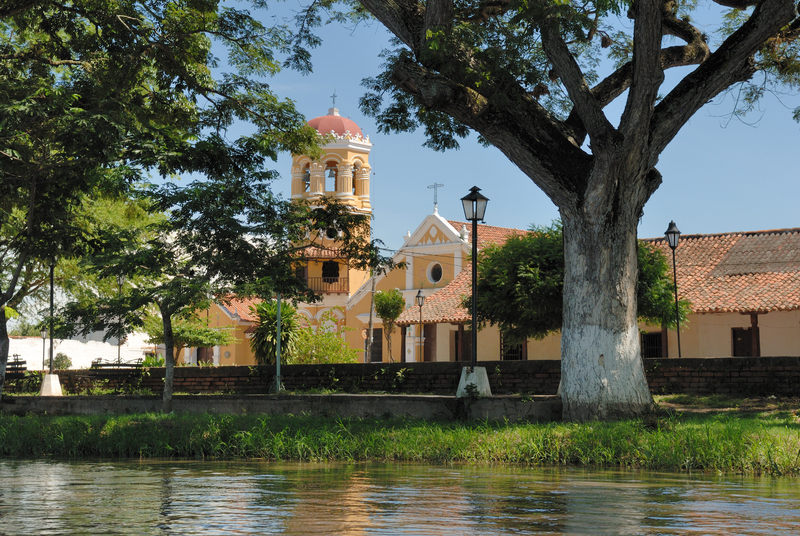 From the small chapel of Santa Barbara, you have a beautiful view over the village and the valley of the Río Suarez. Take your time visiting the artisanal paper mill where you can watch (or do it yourself) how paper is being made of agave and pineapple fibres. 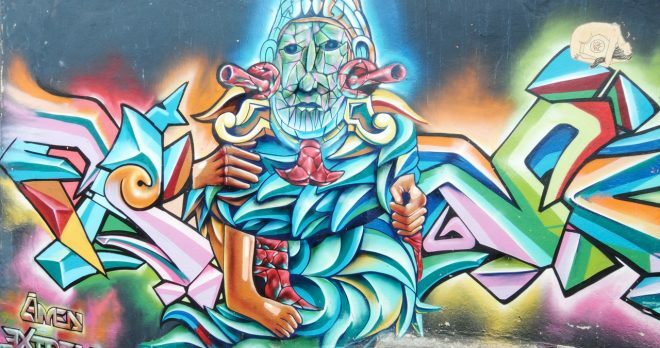 This tour takes you from Barichara to Bucaramanga. 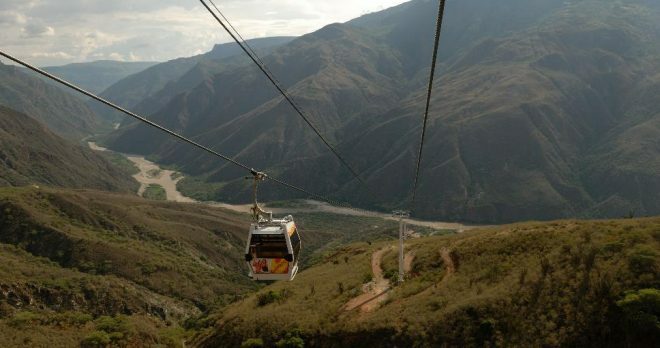 It leads through the Canyon del Chicamocha, where when conditions permitting, you will be able to cross the canyon by cable car and enjoy a fantastic view of the deep gorge. On the other side of the canyon, at 1’600 meters above sea, you will visit the coffee farm “El Roble”, a Rainfor-est Alliance certified farm operated with the principles of sustainability. Trace the path of the coffee bean from seedling into the steaming cup. Taste some of the coffee varieties grown on the hacienda guided by professional coffee technician. The lake created by the recently built Hidrosogamoso hydroelectric power plant is characteristic for the drive to San Vicente del Chucurí. Impressive bridges provide great views. The drive was shortened significantly and San Vicente, Colombia’s cocoa capital is now within reach for a visit. On this tour, everything is about chocolate. You will start with a walk through the cocoa plantation with many different cocoa trees. They all have up to 25 cm long fruits that can be red, yellow or brown. After peeling and washing the beans are fermented and toasted which gives them their typical taste. Subsequently the beans are ground and the chocolate is produced. You will make your own chocolate to take home. Back in San Vicente you will see the cocoa trading sector of the village. 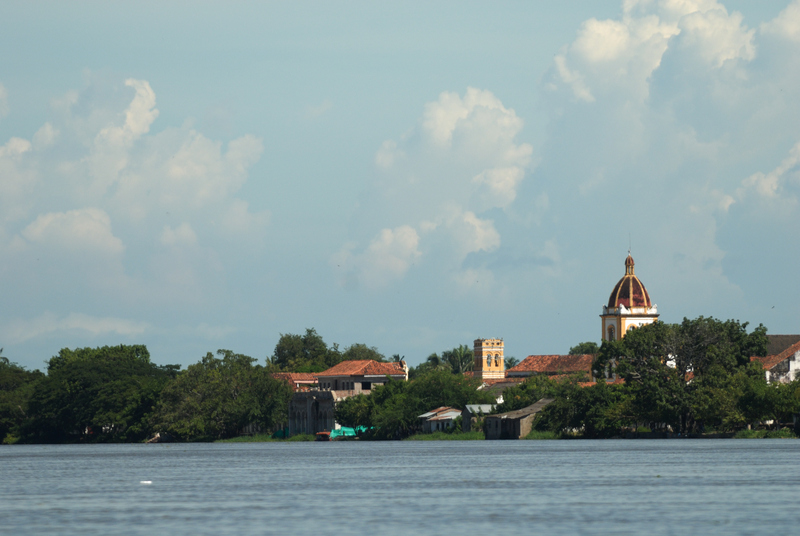 Transfer from San Vicente del Chucurí to Barrancabermeja, where you will have one overnight to take the boat to Mompox next day early in the morning. The boat starts the adventure on the Río Magdalena. Far away from the roads the river curls his way through the landscape. 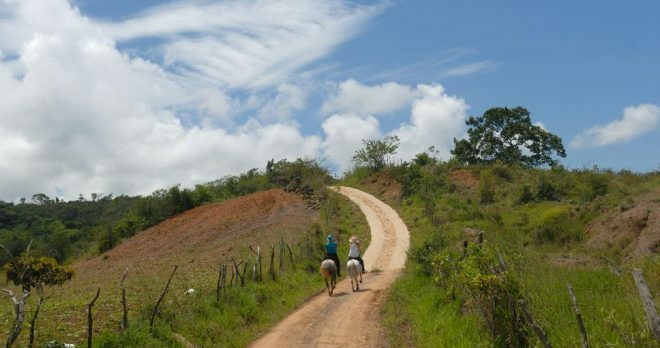 After 5 hours, you reach El Banco, a small village in the south of the department Magdalena. Hundred years ago, this was the only access from Bogotá to the Atlantic coast. 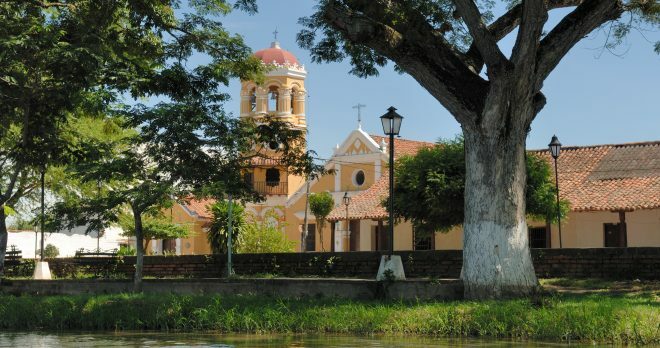 From El Banco, the route takes you two more hours by bus/van/car to Mompox, a magical colonial town in the north of Colombian, which teaches you a lot of history, romance and nostalgia in every corner of this town. You explore Mompox and surroundings. 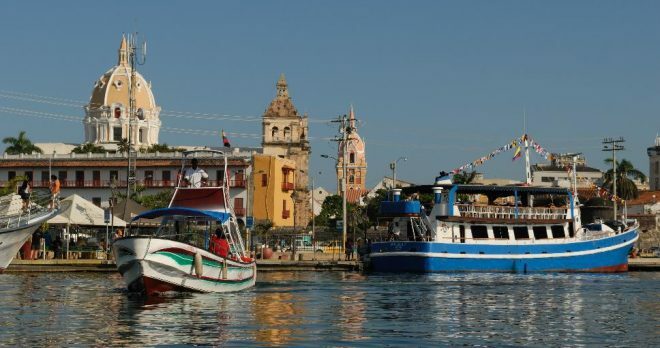 You go to the small village Santa Teresa which can be reached by motorcycle and ferry. The first stop is at a home of a native family where you get an overview of the life and their daily routine. Enjoy the hospitality and let the natives spoil you with coffee, maize and cream cheese. 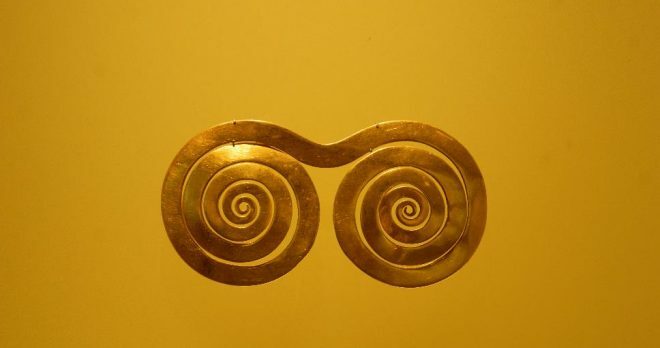 You will get to know the famous delicate jewelries from the Mompox region. The precious metal is handmade by pulling, turning and flattening to get fine gold wire and in the end to become nice and lovely gem. Nowadays the jewelry is mostly made of silver because the gems in gold are much more expensive. If you want to have them in gold you have make a request. The six churches and one chapel reflect the religious importance of this town. 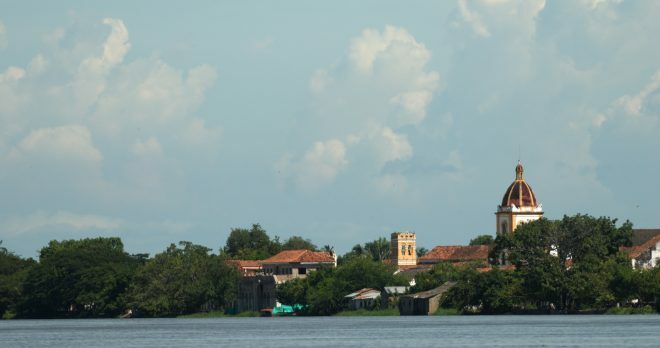 The most known church, Santa Barbara, is located at a branch of the Magdalena River and is unique for its octagonal masoned tower. Visit La Popa hill. At this highest point of Cartagena, Augustinian monks built a monas-tery in the 16th century. 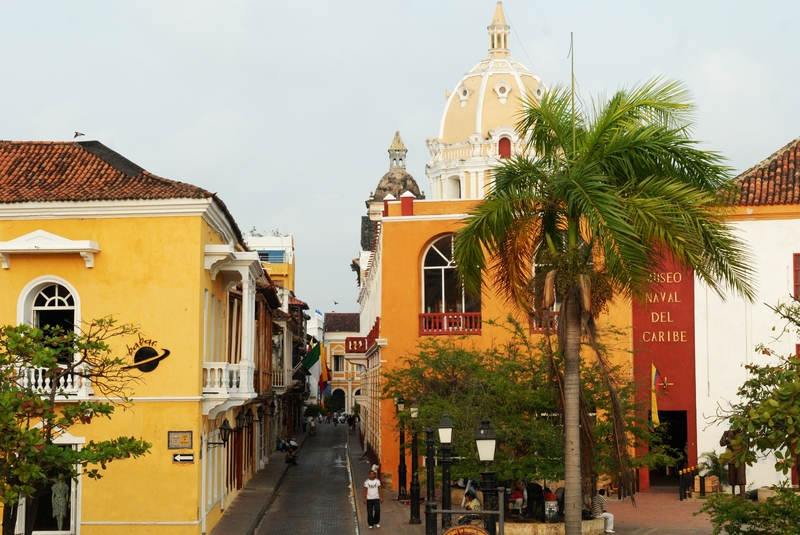 From here, you have a perfect view of the bay of Cartagena and the most important colonial port city of the Spaniards South America. Then visit the Fort San Felipe, which was built by the Spaniards to protect the rich city of Cartage-na against attacks from the mainland. 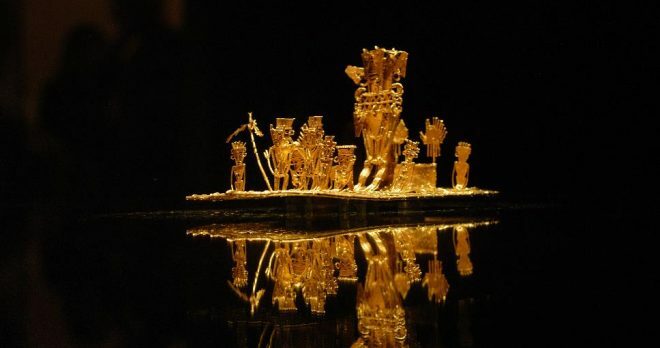 Cartagena was the place, where the looted treasures of the Incas by the Spaniards and the gold and silver treasures from the mines of Peru and Bolivia were stored for shipping to Spain. Thus, the city was repeat-edly the object of desire of many pirates. In the labyrinthine corridors of the fortress, you feel transferred back to the pirate’s time. 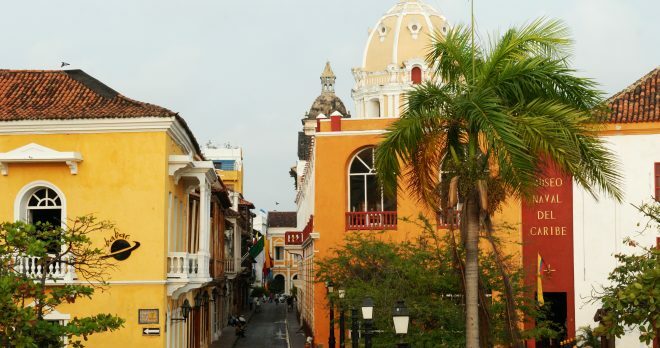 From the fortress, you walk through the colonial Old Town. If desired, you can stop for a cold fruit juice drink. 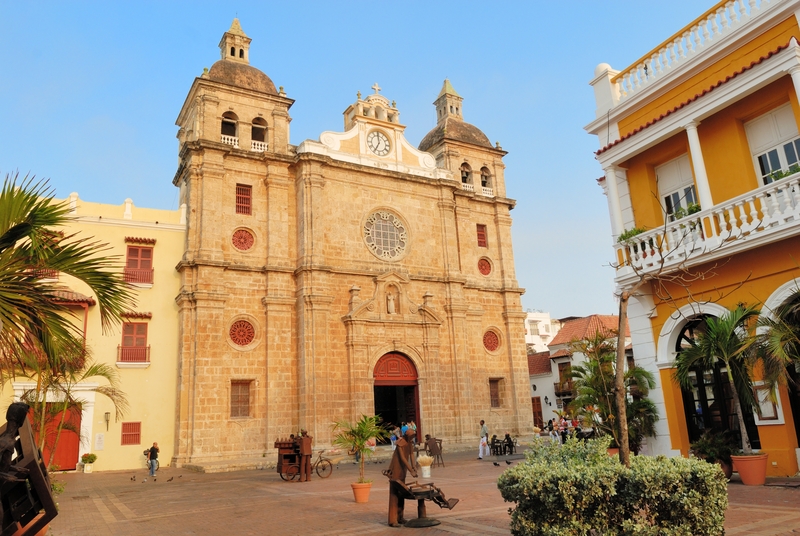 During a walk through the well-preserved old town, visit the important historic buildings and church-es. Get an overview of the city and try to orient yourself to be able to walk through the city on your own in the afternoon, go souvenir shopping at the city wall and admire the sunset from the Café del Mar on the city walls. A private car/van will take you to the National Aviary in Baru. Join this ecotourism activity at a unique bird sanctuary in Colombia. In a tour through the aviary you will encounter three different environments – tropical rainforest, tropical dry forest and de-sert with a total of 21 different exhibits. You will see and learn about 135 different bird species. Walk this sanctuary with your tour manager. If you would like to take lunch, the driver will bring you to the Pescador de Colores Restaurant with Caribbean and Mediterranean cuisine. The restaurant with terrace is located right next to the beach where you have the possibility to take a nice bath. Lunch is not included. 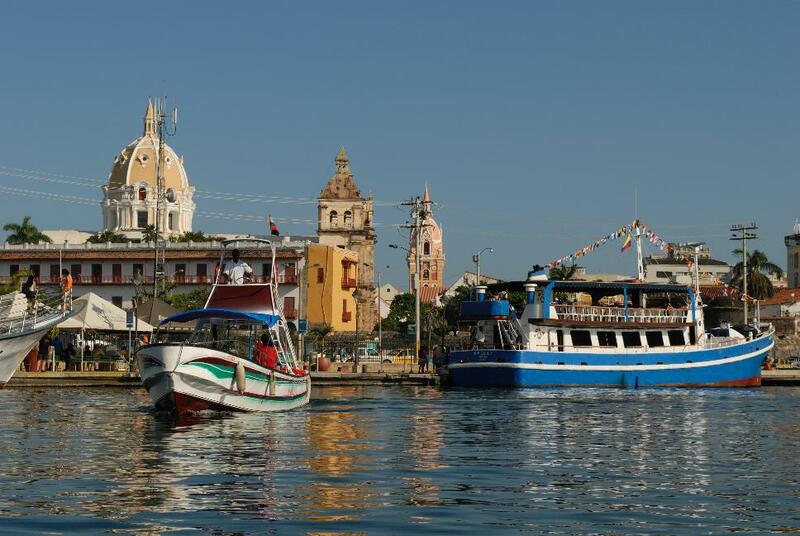 Return journey to Cartagena.